The people who are using pre-paid connection of T-Mobile or have a desire to switch to prepaid network must check T-Mobile Sparq which has just landed at T-Mobile prepaid lineup. 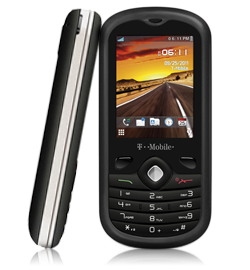 This handset is made by Alcatel , T-Mobile gives it a name “Sparq” while it is originally named as Alcatel One Touch 606a. It is an affordable phone since come with the price tag of only $79.99. You can call it a basic messaging phone which allows you to type messages quickly with the help of a QWERTY keyboard. You never feel it hard to be connected with our friends and family when you have Sparq in your pocket. For entertainment purpose it bring FM Radio and music player and in case you want to share some data then you are free to get help from Bluetooth. T-Mobile Sparq is available for purchase at T-Mobile for $79.99.